What is the Difference Between Adoption and Legal Guardianship? Adoption and guardianship are both legal arrangements for the care and custody of children, but there are some important differences of legal guardianship vs. adoption. The biggest one is the time period for which the arrangement is effective; while adoption permanently places a child with a new family, guardianship is usually a temporary arrangement made by a child’s legal parents that places the child with a close friend or family member. To help you further understand the difference between adoption and legal guardianship, we’ve outlined what you need to know here. However, it’s important to remember that these processes can be complex, and the specifics will vary based on your situation. If you have questions about guardianship vs. adoption in your individual circumstances, it’s best to talk to an experienced adoption attorney. 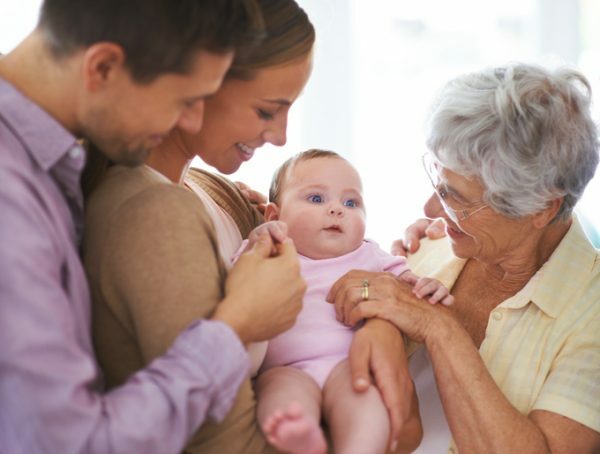 What are the similarities of guardianship and adoption? Many people confuse adoption and guardianship because they share some similar characteristics. Most important of these is that both processes can accomplish the goal of providing a stable environment for a child. Both arrangements give a parent responsibility for a child who is not biologically theirs. Adoptive parents and legal guardians are both responsible for meeting the basic needs of the child: loving and supporting them, making sure they are fed and clothed, etc. However, the terms of guardianship vs. adoption vary greatly, as do the legal rights awarded to adoptive parents vs. guardians and the situations in which each solution is appropriate. Parental rights: Adoption terminates the biological or legal parents’ rights, while legal guardianship keeps the parents’ legal rights intact. In an adoption, the adoptive parents are awarded all legal parental rights, and birth parents cannot reclaim rights to their child once the adoption is finalized. However, in a legal guardianship, the biological/legal parents can terminate the guardianship at any time and reclaim custody of their child. Inheritance: Adoption secures inheritance rights for a child, while legal guardians must make a special provision in their will if they wish to pass along inheritance. Child support: Adoption ends any child support obligations for birth parents, while birth/legal parents may be required to financially support their child in a legal guardianship. Process: Adoption is typically a more involved legal process than the legal guardianship process. Permanence: Adoption is permanent, while legal guardianship is temporary. Because of these differences, there are different scenarios in which each arrangement is the appropriate solution for a child. If you are a struggling parent, you may be wondering whether guardianship or adoption is right for you and your child. Alternatively, if you are interested in caring for a child you love while his or her parents overcome certain challenges in their lives, you may be wondering whether you can adopt that child or become a legal guardian for them. Does your child need a permanent or temporary solution? Will you be able to successfully parent your child in the near future? What types of changes will you need to make in order to be the best parent you can be? What type of relationship do you want to have with your child going forward? Do you want to be their custodial parent? Or would you prefer to have ongoing contact through an open adoption? Remember, adoption and guardianship can both offer your child a stable, supportive environment. Whichever you choose, it takes strength and courage to make a plan for your child’s future. If you are interested in learning more about legal guardianship or adoption, contact an attorney near you for help. If you are considering making an adoption plan for your baby, you can also call 1-800-ADOPTION any time, for free and with no obligation to choose adoption. This may be possible in certain cases, especially if the child’s legal parents are in favor of the adoption. If you are interested in adopting a child you have guardianship of, you should contact an adoption attorney to learn more about what’s possible in your circumstances. What if the parents are against it and the child is the age of 14? Can she have a say in it? Hi, Misti — Often, the rules regarding parent and minor consent will vary by state. We encourage you to look at your state adoption laws and speak to a local attorney for legal information in this situation. What if Iv had full gaurdianship of my niece sence she was 3 days old and shes 5 month now, Father is incarcerated and mother is homeless. Can I adopt? Hi, Eduardo — The only person who can answer this question will be an experienced adoption attorney in your state. Here is a list you might start with: https://adoptionart.org/find-an-attorney/attorney-directory/ Good luck!